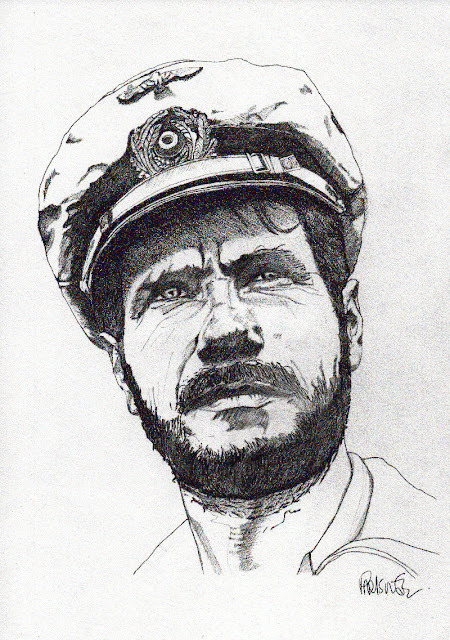 DAS BOOT by Paul Nelson-Esch. This is a fantastic original pencil illustration by Paul Nelson-Esch on fine grain cartridge paper, 160g, acid free. Signed by the artist. 30 x 21cm / 11 3/4" x 8 1/4". A4 Approx.